Get ready to Laugh Out Loud (a lot!) 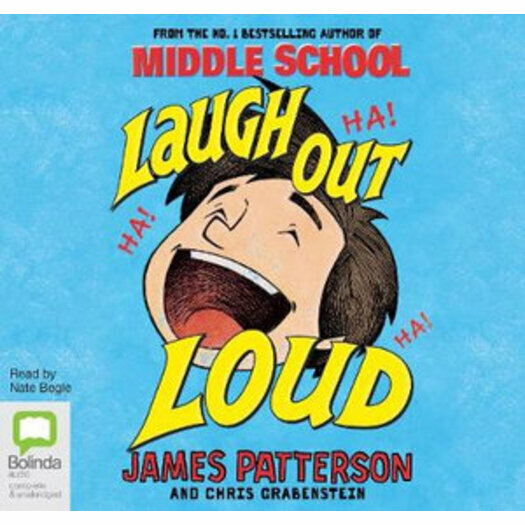 with James Patterson's newest middle grade story! But that doesn't stop Jimmy from dreaming even bigger! His company will be as imaginative and fun as Willy Wonka's chocolate factory ... with a Ferris wheel instead of an elevator, a bowling alley in the break room and a river filled with floating books! He just has to believe in himself and his idea. (And maybe win the Lotto). In this hilarious story filled with clever references to children's book favourites, James Patterson shows that anything can be achieved if you believe in yourself no matter what! Chris Grabenstein is the author of the New York Times bestsellers THe Island Of Dr. Libris And Escape From Mr. Lemoncello's Library as well as the co-author (with James Patterson) of the #1 Bestselling series I Funny, House Of Robots, and Treasure Hunters.